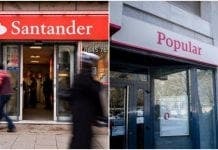 ONE of Spain’s biggest banks is preparing to sell a property portfolio worth up to €8 billion. 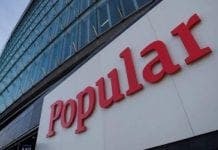 Banco Popular is looking to reduce its property assets by 30% through the sales in 2016, according to reports in the Spanish press. The bank is currently the most exposed to the property market of any in Spain. 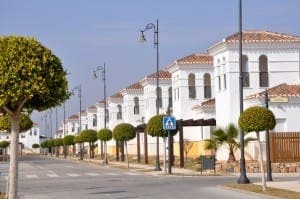 The proposal comes as Spain’s property market continues to improve, with growth driven by price increases in Madrid and Barcelona. And all built before Spain’s ‘attempt’ at modern building regs. in 2012 – caveat emptor. Agree with both the above comments, and like to add that 8 billion euros worth seems a huge amount, but it is still a drop in the ocean of Spanish property for sale. Assuming an average price of 200,000 euros (could be different) it is only 40,000 homes. I hope I’ve got that right! Not so long ago R.R. Acuna and Associates in Madrid suggested there are still some 1.6 million homes for sale without all those waiting to come to market as it improves. A long wait for stock to clear methinks! Most sellers will die before property prices return to where they were in 2007/8.